Alexander Hamilton (1755-1804) – Aide-de-camp to General George Washington during the American Revolution, Founding Father of our country, economist, and political philosopher. William Henry Harrison (1773-1841) – The 9th President of the United States, military officer, and politician, he was the first president to die in office. He had the shortest tenure in presidential history. As an Army officer and governor of the territory that is now Indiana and Illinois, he fought Indians and made harsh treaties with them, clearing the way for more westward settlement by whites. 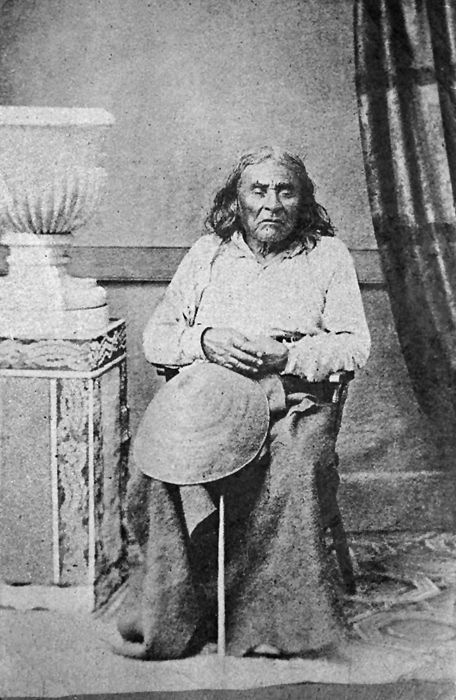 His military victories against Indians made him a hero to white Americans. Patrick Henry (1736-1799) – Virginia Governor, prominent figure in the American Revolution, and one of the Founding Fathers of the United States. Heroines of the Southwest – No portion of our country has been the scene of more romantic and dangerous adventures than that region described under the broad and vague term the “Southwest.” Texas, New Mexico, and Arizona are vast, remote, and varied fields with which danger and hardship, wonder and mystery are ever associated. Heroines Across the Plains – The movement of emigration westward since the early part of the seventeenth century resembles the great ocean billows during a rising tide. Sweeping over the watery waste with a steady roll, dragged by the lunar force, each billow dashes higher and higher on the beach, until the attractive influence has been spent and the final limit reached. 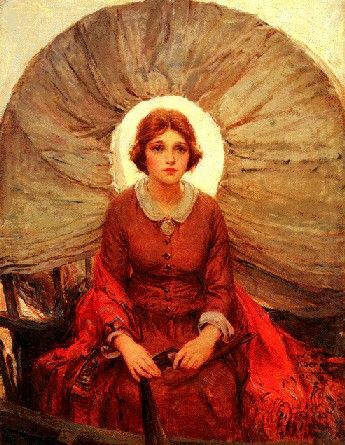 Heroines in the Rocky Mountains – Among these histories, which illustrate most clearly the virtues of the pioneer women, we count those which display her battling with the difficulties of the passage through the mountains, as proving that the heroine of that time may be matched with those who have lived before her in any age or clime. Samuel Houston (1793-1863) – Nineteenth Century statesman, politician, and soldier, Houston was a key figure in the Texas Revolution and acted as the first and third President of the Republic of Texas. Thomas Jefferson (1743-1826) – The third President of the United States and principal author of the Declaration of Independence. Known for his promotion of the ideals of republicanism in the United States, he is considered one of the most influential Founding Fathers. John Paul Jones (1747-1792) – The first well-known naval fighter in the American Revolution. John F. Kennedy (1917-1963) – Commander during World War II and 35th President of the United States. 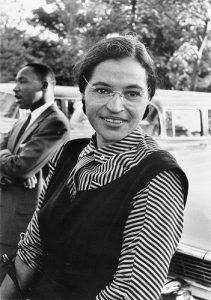 He was assassinated in 1963. Martin Luther King, Jr. (1929-1968) – Clergyman, activist and prominent leader in the African American civil rights movement, in which, he raised public consciousness of the civil rights movement and established himself as one of the greatest orators in U.S. history. He was assassinated in 1968. 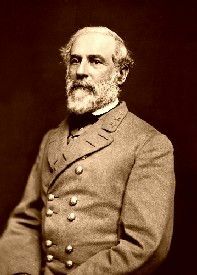 Robert E. Lee (1807-1870) – Lee was a career U.S. Army officer and the most celebrated general of the Confederate forces during the Civil War. Meriwether Lewis (1774-1809) – Explorer, soldier, and public administrator, Lewis was best known for his role as the leader of the Corps of Discovery, whose mission was to explore the territory of the Louisiana Purchase. Abraham Lincoln (1809-1865) – Pioneer, attorney, and 16th U.S. President, he guided this country through the most devastating experience in its national history — the Civil War. He was assassinated on April 14, 1865, and died the next day. He is considered by many historians to have been the greatest American president. Charles Augustus Lindbergh (1902-1974) – Aviator, author, inventor, and explorer. James Madison (1751-1836) – Politician, political philosopher, 4th President of the United States, and one of the Founding Fathers of the country. He was instrumental in writing the Constitution and wrote the Bill of Rights. John Marshall (1755-1835) – Statesman, politician, and jurist who shaped American constitutional law and made the Supreme Court a center of power. Thomas Paine (1737-1809) – Author, radical, inventor, intellectual, revolutionary, and one of the Founding Fathers of the United States. Pocahontas (1595?- 1617) – A Powhatan Indian Princess, she was for having assisted colonial settlers at Jamestown and allegedly saving the life of the colony’s leader, Captain John Smith. Israel Putnam (1718-1790) – Army general who fought with distinction at the Battle of Bunker Hill during the American Revolution. Not as well-known as other historical heroes, he showed reckless courage and fighting spirit. Bass Reeves (1839–1910) – One of the most famous and effective U.S. Deputy Marshals Indian Territory. Paul Revere (1734-1818) – Patriot in the American Revolution who gained recognition for his role as a messenger in the battles of Lexington and Concord. Theodore “Teddy” Roosevelt (1858-1919) – The 26th President of the United States, leader of the Rough Riders, naturalist, explorer, hunter, and author. Ronald Wilson Reagan (1911- 2004) – 40th President of the United States 33rd Governor of California. He ranks highly among former U.S. presidents in terms of approval rating and in presidential surveys. Eleanor Roosevelt (1884-1962) ­ Political and social reformer, humanitarian, and outspoken crusader, this First Lady championed causes of social justice worldwide and as a United Nations delegate, chaired the United Nations Commission on Human Rights. Jonas Edward Salk (1914-1995) – Medical researcher and virologist, he is best known for his discovery and development of the first safe and effective polio vaccine. 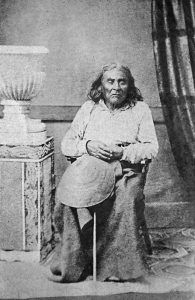 Chief Seattle, aka: Sealth, Seathle, Seathl, or See-ahth (1780?-1866) – Leader of the Suquamish and Duwamish Native American tribes in present-day Washington. He was known as a great leader, orator, warrior and negotiator. Captain John Smith (1580-1631) – An English soldier, explorer, admiral, and author, Smith established the first permanent English settlement in North America at Jamestown, Virginia in 1607. Captain Myles Standish (1584?-1656) – English military officer, Mayflower passenger, and first commander of the Plymouth Colony. Elizabeth Cady Stanton (1815-1902) ­ Known, along with Susan B. Anthony, as one of the foremost figures of the movement for women’s equality. 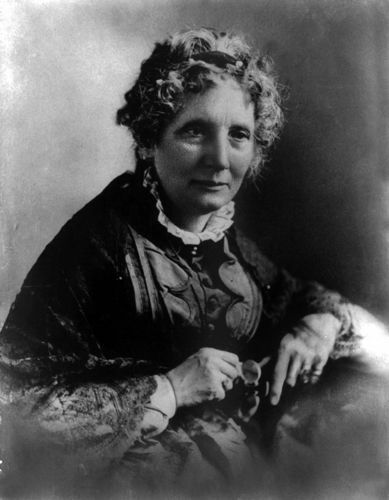 Harriet Beecher Stowe (1811-1896) – Abolitionist and author, she wrote Uncle Tom’s Cabin and became influential in the political issues of slavery. Zachary Taylor (1784-1850) – Distinguished general and 12th President of the United States, Taylor served in the War of 1812 and the Mexican-American War, where he earned the nickname of “Old Rough and Ready.” He was elected President in 1848, the first to never have held any previous elected office. He was also the last President to hold slaves while in office. Just two years into his presidency he died.